SATURDAY & SUNDAY— All Parking Lots open at 8:00 am with continuous round-trip shuttle bus services from the Remote Lots starting at 8:30 am to the airport. 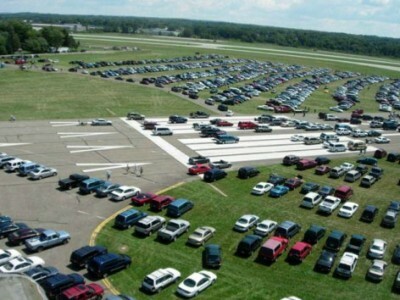 Shuttle services from the remote lots to the airport will stop at 3:00 pm each day to prepare for the guest return trips after the air show concludes. The remote parking lots will close immediately after the last bus unloads its guests. Follow for 8 miles and turn RIGHT onto Hwy-27/Martha Berry Hwy.